Kennett Square’s Art Stroll is a monthly celebration of the local art scene as it is showcased in the galleries, shops and restaurants throughout town. The Art Stroll runs from 6 p.m. to 9 p.m. on the first Friday of each month. AFTER 5 p.m. on Friday, enjoy free parking anywhere in the PARKING GARAGE and at any street meter. For more information about the art scene in Kennett Square check out the KennettArts facebook page. Olga Nielsen’s work is inspired by her fascination with all living things, but especially the beauty of the human face and the grace of the human body. Images of faces and bodies are timeless, they are the most meaningful and thought-provoking to us, they create powerful language, a way to communicate emotions and ideas. 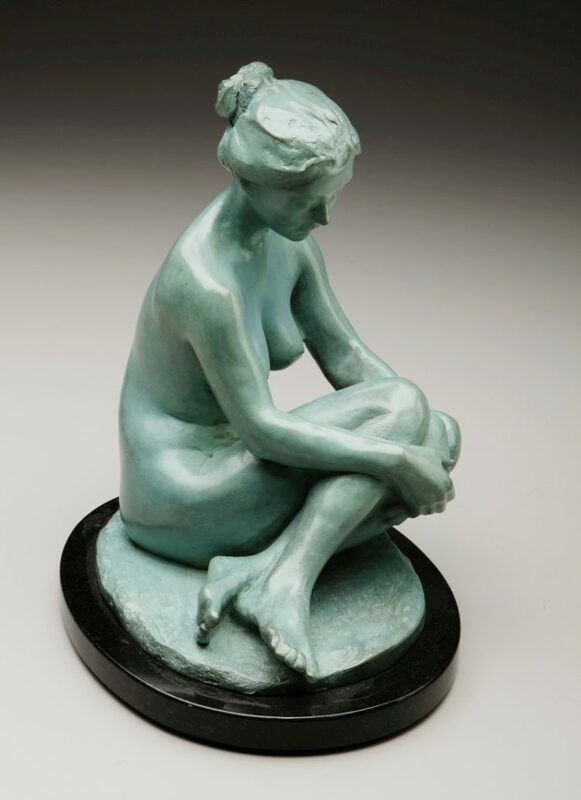 Many of Olga’s sculptures and drawings focus on the female figure because portraying women lets her address her own experiences as a woman, allows her to meditate on the strength and fragility of women, to reflect on everyday moments of our lives, to share their poetry and their timeless universal meaning. 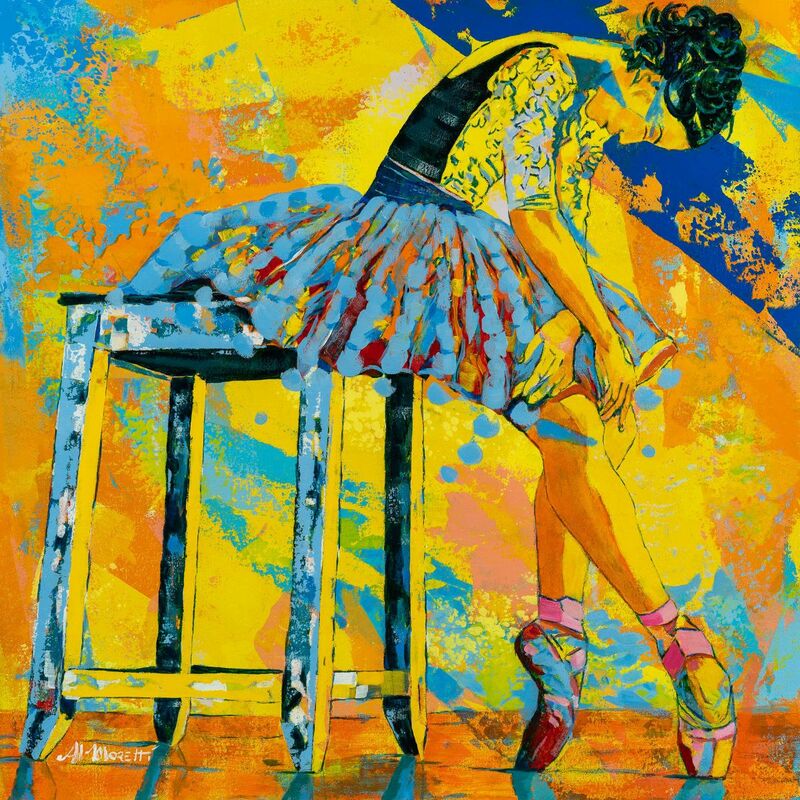 This sharing, this connection between the artist and the viewer is the purpose of her art. John Slivijak lives and works in Philadelphia, Pennsylvania. 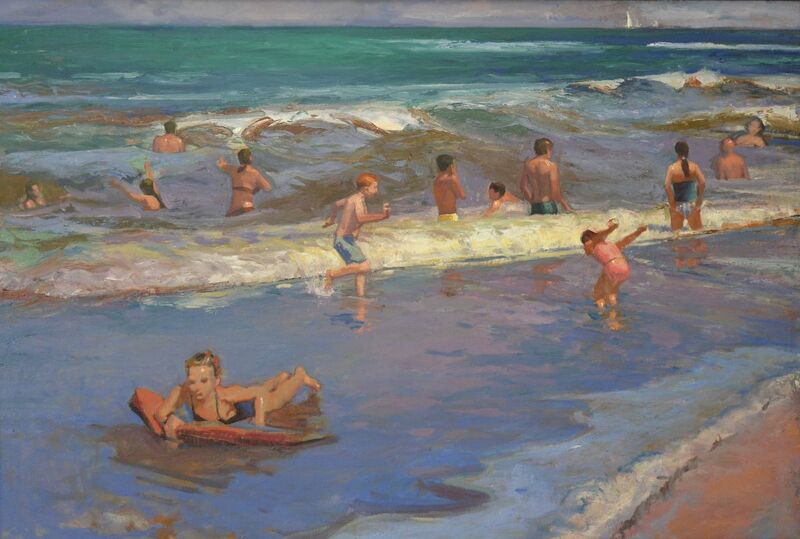 He earned a BFA from The Philadelphia College of Art and an MFA from Indiana University. 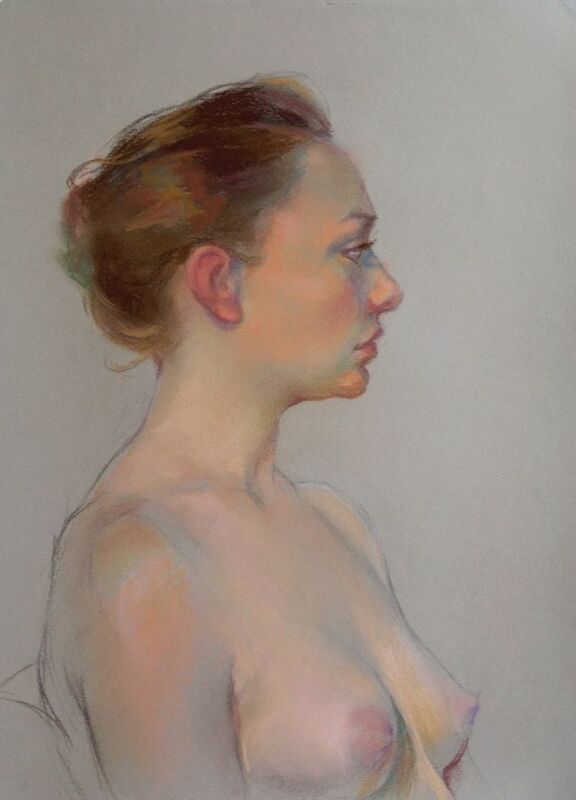 His work includes landscape, figure, portrait and still life. Slivjak is a member of the Mid Atlantic Plein Air Association and the Outdoor Painter’s Society and participates regularly in Plein air events across the country. John has been invited to many competitions as both artist and juror, and his art has been featured in such publications as PleinAir Magazine. His work is held in many private collections. 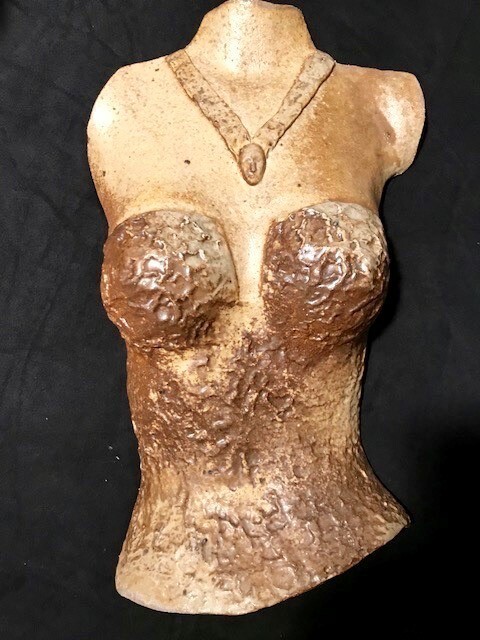 Marianne Tebbens work in clay has evolved over the years from mostly functional, with the vessel as the predominant form, to an increasing number of sculptural pieces, with the human face, hands, torso, and elements of nature emerging. This evolution has occurred in conjunction with her work as a Psychotherapist and Art Therapist, as well as through her own personal growth experiences.Other themes emerging are human relationships, human emotions, and relationships between humans and Nature, and the dangers and risks to the feminine and the intuitive in our culture at this time in history. Marianne creates her pieces with a variety of clays and processes. She works in stoneware, porcelain, Raku and earthenware clays and fire in reduction, wood, salt, Raku, and primitive types of kilns. Process excites her, and the Alchemy of clay, form, and fire offer her infinite possibilities. Al Moretti is a painting jazz musician, trumpeter, and composer. His musical experiences influence his subjects and style. Moretti aims to merge the language, theory, form, structure, and feeling of musical composition into his painting. He says, “When I play music I think of color and when I paint I think of sound. Sound is light heard, and light is sound seen.” Though his musical and artistic accomplishments stretch back into the 1970s, Moretti is creating exciting new works in acrylic medium, painting musical icons and themes that have influenced his life and career. We are excited to have The Al Moretti Trio back at the gallery for the opening of “Poetry of the Body”. These musicians have played together for years in the Philadelphia area. Al Moretti will be playing the trumpet and flugelhorn, Glenn Ferracone will be playing the drums, and Rich Budesa will play the organ. 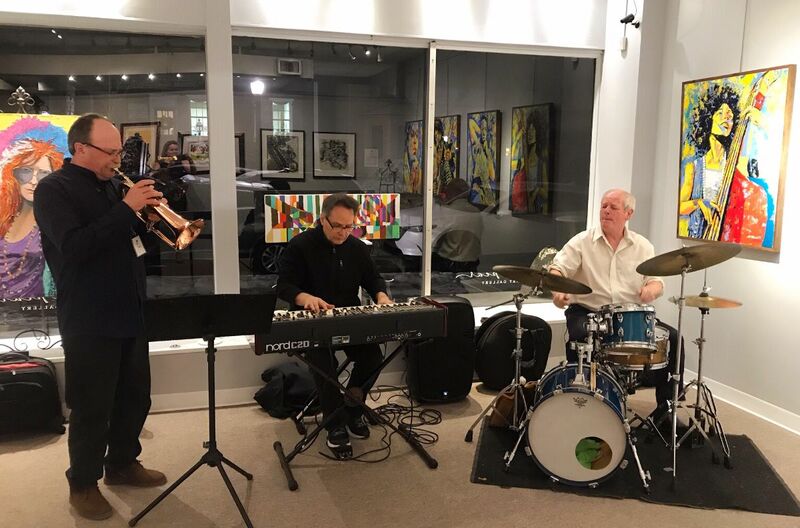 On Friday, April 5th they will be playing a classic jazz repertoire and some pop. They will also be playing some original compositions from their CD which will be available at the gallery. All the members of the band have played with well-known jazz artists such as Pat Martino, Joey D’Francesco, and Gerald Veasley. KSI CRAFTS Enjoy the dramatic photographs of Rusty Nelson at KSI Crafts this First Friday. Rusty, awarded Photographer of the Year in Los Angles and Storm Chasing Photography Guide just moved to Kennett Square from Los Angeles and will be displaying an eclectic sampling of his photography. Rusty has a saying that “My Camera is My Best Excuse for Adventure” and these images surely reflect it. Looking for an activity for your kids while you Shop, Dine, Stroll, Sip and enjoy the Art Stroll? THE ARCADE! (4th – 12th grade) (Friday, April 5th, 6 – 9PM) Join us for a fun arcade night at the library. The library will transform into an after-hours arcade with lots of video games to choose from. 4th – 12th grades welcome. First Friday Arts Splash for Kids! All kids in grades K through 6 are invited to join us on Friday, April 5th, from 6 to 8:15 p.m. for a Spring themed First Friday Arts Splash! Parents, drop off the kids at PCKS (the Presbyterian Church of Kennett Square at 211 S. Broad Street) and enjoy two hours of art, dining, and shopping during Historic Kennett Square’s First Friday Art Stroll. The kids will enjoy dinner, games, music, dance, and arts activities. There’s no cost, but spaces are limited and preregistration is required. If you’d like to reserve a place for your child or have any questions, please email Tara Smith, Director of Children’s Ministry, at tara@pcks.org.